WASHINGTON (Reuters) - Non-U.S. entities buying oil or petroleum products from Venezuela's state-owned PDVSA in deals that involve the U.S. financial system, brokers or people must be wound down by April 28, the U.S. Treasury Department said in a notice posted early on Friday. The notice clarifies some of the confusion that has surrounded U.S. sanctions imposed on Venezuela earlier in the week. 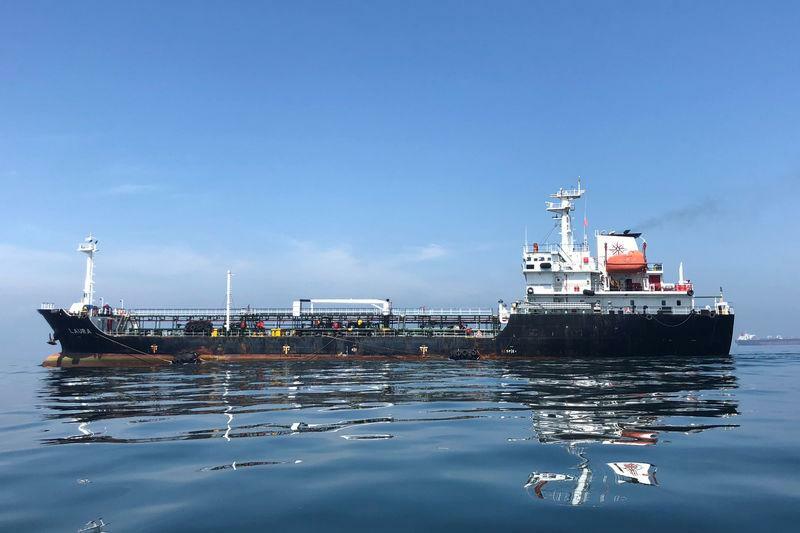 Besides the United States, Venezuela sells its oil to buyers around the world, including India and Europe, and the country has been seeking buyers elsewhere to replace the roughly 500,000 barrels a day it sells to the United States. The global oil industry has since sought to sort out the large-scale sanctions, which froze the assets of PDVSA and also require U.S. firms to pay for oil into accounts controlled by the country's opposition party head and self-proclaimed interim president, Juan Guaido. Even before Friday's notice, European buyers had pulled back on taking shipments from Venezuela due to concerns about how to make payments. Friday's notice said non-U.S. entities that involve U.S. brokers or the U.S. financial system must wind down those transactions by the end of April. Much of the world oil market is transacted in dollars, and therefore would be subject to U.S. oversight. European governments are also considering sanctions, which would cut off Venezuela's ability to do business in euros as well. In addition, Americans who work for non-U.S. companies located outside the United States and Venezuela have until March 29 to conduct "certain maintenance or wind-down transactions," according to the notice dated Jan. 31 and posted on the department's website overnight.